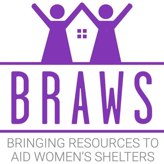 BRAWS Ambassadors are a valued group of founding board members, veteran volunteers, or passionate BRAWS' advocates who fulfill key roles with BRAWS. They also serve as the face and voice of BRAWS at various events throughout the year. Tori Draude has 17 years of experience in the defense industry, specializing in talent acquisition, human capital strategy, and project management. She currently leads resource management for CACI’s Enterprise Information Technology division. Tori has worked for a variety of Fortune 500 companies, including Capital One, IBM, Deloitte Consulting, and CSC. Tori has been an active volunteer with BRAWS since its inception, previously serving as BRAWS’ Vice Chair and Treasurer. Ileana Gonzalez is an entrepreneur and health practitioner specializing in helping women take control of their own health and wellbeing. Before that she had a 13 year career in IT Consulting in Finance and Banking while living in Madrid Spain. Since moving back to DMV area, she has volunteered with numerous local organizations, but has found the work that BRAWS does particularly aligned with her own goals and values. Vicky Hodges recently retired from a 35-year teaching career in pre-school and elementary education. Following retirement, she was drawn to volunteer opportunities where she could continue to help children and teens. She currently oversees BRAWS’ Preteen/Teen Distribution program, a grant-funded project with outreach to teens in high schools, elementary schools, teen centers, and homeless shelters. She has been an active volunteer with BRAWS since 2016. Sara Mastro has been in the design and user experience profession for nearly 20 years. She currently serves as User Experience and Product Director for Perceptronics, an IT company specializing in artificial intelligence. Sara has worked with a variety of companies and organizations throughout her career including Discovery Channel, Mediabarn, National Geographic, U.S. Department of Treasury, and U.S. Patent and Trademark Office. She has been an active volunteer with BRAWS since its inception. Nicole Murrary has worked and volunteered in the nonprofit / human services world since she was a teen. She currently works for the Fairfax County Health Department and is also a Realtor with Long and Foster. Nicole has been an active volunteer with BRAWS since 2016, and previously served as the Chair of Distribution. Amy Nordeng is a health law attorney with more than 15 years of experience practicing in law firms and health care associations. She is currently an in-house attorney for a nonprofit health care association based in Arlington, Virginia. Amy earned her J.D. from the University of Michigan Law School. She has been an active volunteer with BRAWS and previously served as BRAWS’ Secretary. Jaime Racer is a licensed professional counselor with nearly 15 years of experience in Mental Health Counseling. She works with children, adults, and families. Jaime is also a very active volunteer in her community. She has been volunteering with BRAWS since 2016, and currently serves as the lead for BRAWS’ Distribution Days. Since 1999, Emily Schofield has been working in nonprofit and for-profit industries, as well as the U.S. Government. She recently transitioned to a new field and launched a second career as an interior decorator. Emily also serves in a variety of volunteer roles in her community. She has been an active volunteer with BRAWS since its inception and leads the planning team for Mardi Bras, our largest fundraiser. Julie Smith spent her early career with Booz Allen Hamilton, and has since moved into the nonprofit sector as Manager of Marketing Partnerships for the National Wildlife Federation. She is a very active volunteer in her community. Julie has been an active volunteer with BRAWS since its inception, including her role as BRAWS’ first Board Chair.